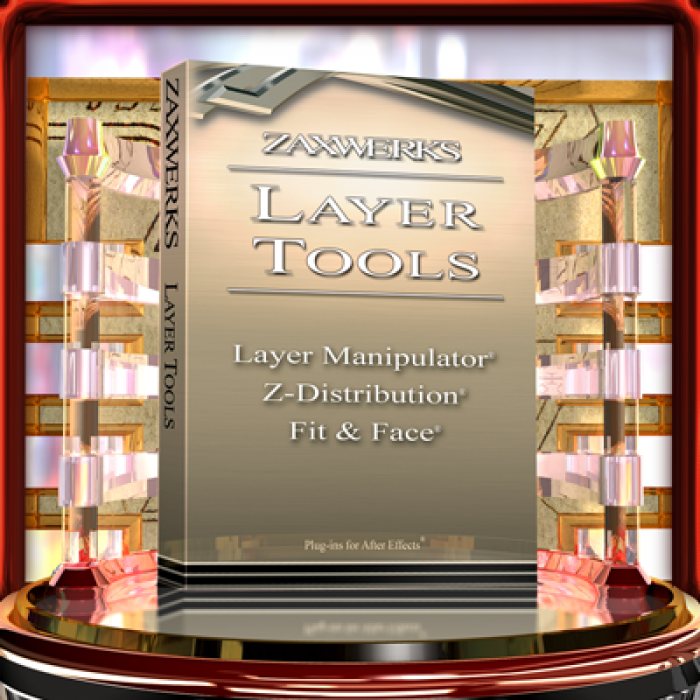 Zaxwerks Layer Tools is an exciting set of plug-ins that enables the motion graphics artist to do things to 3D layers that are usually very difficult and time consuming. 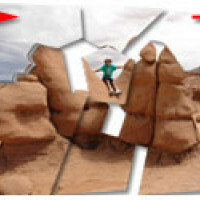 Layer Tools solves the problems facing Photoshop users who try to turn their Photoshop layers into 3D only to have the design fall apart due to perspective. Layer Tools solves the problems faced by motion graphic artists who need to create perfect match-frames between 3D animation and 2D movie footage. Layer Tools enables you to rotate, move and scale many layers at once with an ease and flexibility that hasn't been available before. One of the common problems facing motion graphics artists is that when they bring their Photoshop projects into After Effects and begin moving the layers back in 3D space, the further away from the camera you move the layers the smaller they become. This problem can destroy a great Photoshop project or force you to work with the layers so close together that you might as well not even be working in 3D. The Z-Distribution tool solves this problem. 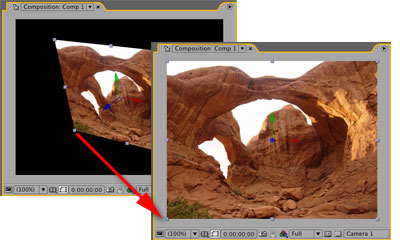 As you move layers away from the camera this plug-in automatically compensates for perspective. The image remains the exact same screen size after the move as before. This opens up your design options like never before. 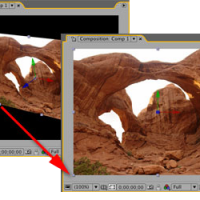 You can move layers far far away from the camera or even move them closer to the camera. 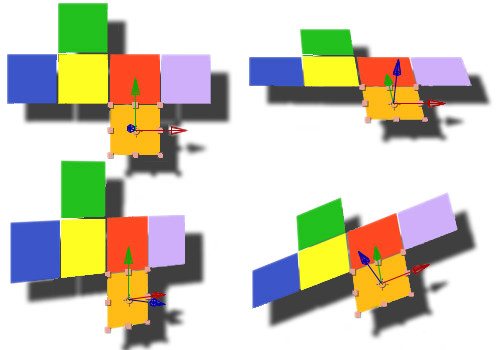 The only way you'd know that they had moved in 3D space is when you move the camera off-axis or animate the layers away from their home position. This plug-in handles many different cases. 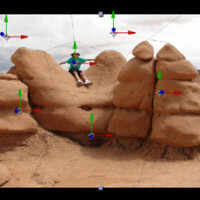 The comp can be a different size from the layers; the comp can use non-square pixels; the layers can be scaled; the camera can be pointed in any direction; the objects can be at any angle to the camera; the layers can have keyframes already; the plug-in keeps things simple and doesn't require using scripts, nulls or knowing math; the list goes on and on, the basic point being that this is a professional tool made for the widest range of cases. A second use for the Z-Distribution tool is to create that cool effect where the comp appears to be full of random pictures. As the camera flies through the comp the pictures are scattered here and there with none of them relating to each other. Finally the camera slows down and hits its home base and at that time you see the pictures converge and make up a single larger image. Here's an example movie showing this effect. You know, it's great having 3D layers in After Effects but when it comes time to working with those layers in 3D space, things can get a bit difficult at times. The After Effects workflow limits you to moving one layer at a time and if you're doing simple stuff that's fine, but as soon as you want to rotate two or more layers at the same time you're stuck. So there are some fancy tricks for working around this problem, for instance you can create a Null and parent a bunch of other layers to it, or you can put everything you want to move as a group into a completely different comp and collapse transformations, but that takes extra planning and work and time and sometimes you just want to grab some stuff and move it a little. Instead of doing work-arounds it would be much nicer to do it more directly. Select the layers - Move the layers - Done. 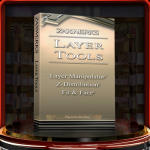 OK, so that's where the Zaxwerks Layer Manipulator comes in. 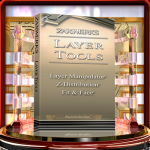 The Layer Manipulator let's you do exactly what you want. Select the layers - Move the layers. 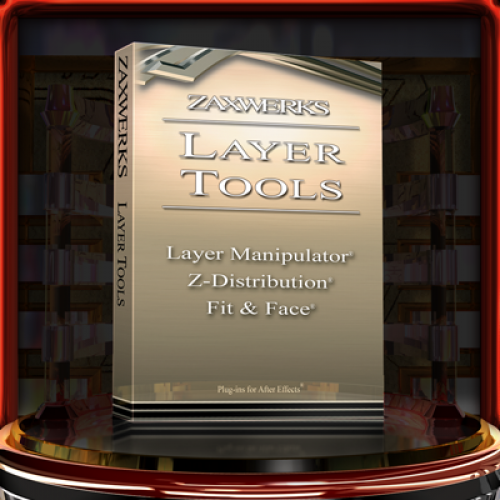 The Layer Manipulator treats all selected 3D layers as a group, rotating, moving or scaling them all around a single pivot point. Layers can be added or removed from the group by simply selecting or deselecting them. As you manipulate the layers they all stay in register with each other but they aren't permanently linked together and nothing is added to your AE project, such as nulls, scripts or extra comps. 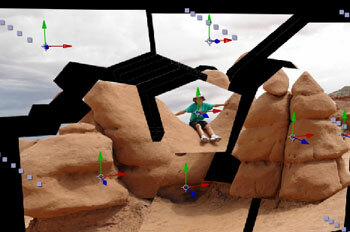 The Layer Manipulator enables you to work faster and far easier with your 3D layers than you have before. So here you are, you're working through a project with all of these cool 3D layers flying around and you get to the point where you need to make one of those layers fly right up to the camera and fit perfectly in the comp window so you can do a match-frame cut to a movie clip. 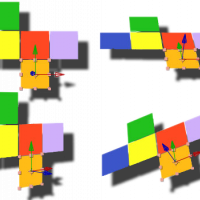 The problem is the camera is now off-angle and the 3D layer is off-angle so getting those two things to match up becomes a real headache. However, if you had the Zaxwerks Fit & Face plug-in this problem would be solved by a single click. The Fit & Face plug-in enables you to make any 3D layer exactly fit the comp window. The plug-in has three different methods for doing the fitting. 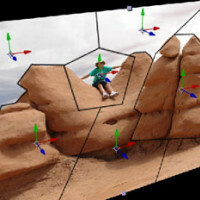 One method rotates the layer and moves it closer to the camera until it fits. 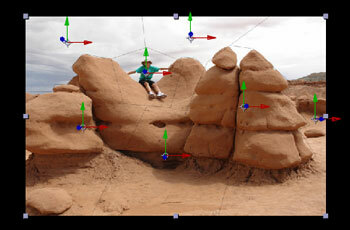 A second method keeps the layer the same distance from the camera and adjusts the scale until it fits. 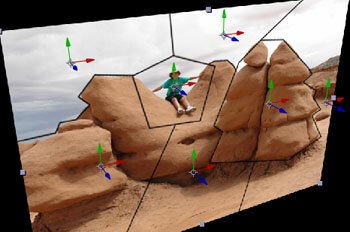 The third method leaves the layer where it's at and moves the camera until it fits. These three methods of fitting give you total freedom in your design execution. If the camera needs to stay where it's at, you'd move the layer (Fit To View By Translating). If the layer needs to stay where it's at, you'd move the camera (Fit Camera To Layer). If both need to stay where they are then you'd scale the layer (Fit To View By Scaling). All bases are covered. The Fit & Face plug-in can also make any group of 3D layers face another 3D layer. This is not like the Auto-Orient feature in After Effects where once you turn it on it's always on. The Fit tool lets you quickly set keyframes which can be edited at any time, plus you can make the selected 3D layers face *any* layer in the project, not just a camera. Mac OS X 10.11 - Present can use After Effects CS6 - After Effects CC 2014.